Second Harvest Food Bank of North Central Ohio has earned a 4-Star Charity from Charity Navigator, America's largest independent evaluator of charities. Second Harvest earned four out of a possible four stars indicating our organization adheres to good governance and best practices that minimize the chance of unethical activities and consistently executes its mission in a fiscally responsible way. Only a quarter of all charities receive Charity Navigator's highest rating, indicating Second Harvest outperforms most other charities in America. 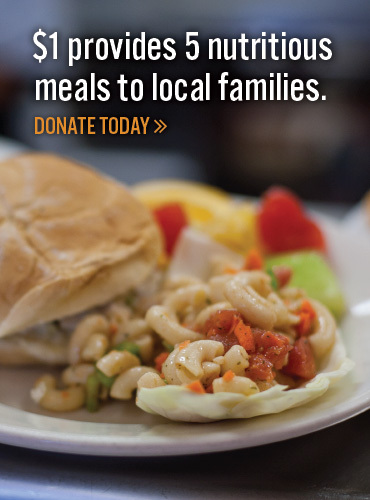 Click here to review Second Harvest Food Bank's Charity Navigator 4-Star Rating. Second Harvest Food Bank of North Central Ohio meets the Better Business Bureau's Wise Giving Alliance's Standards for Charity Accountability. Click here to learn more about why you can trust the Second Harvest Food Bank of North Central Ohio. Click here to view the BBB Wise Giving Alliance Charity Report on Second Harvest Food Bank of North Central Ohio. In April 2013, Julie was featured by Crain's Cleveland Business as part of their series "Who to Watch in Nonprofit"